Las Vegas Kitchen & Bathroom Remodeling is the leading kitchen renovation resource in the valley. We have been exceeding the expectations of discerning homeowners and investors for more than three decades and counting, so we thoroughly understand the local architecture. Though we have been around for a very long time, we are always fully apprised of current design trends, and our installation experts are second to none. This area holds a great deal of appeal on many different levels. Clearly, it is the “Entertainment Capital of the World,” so there are exciting shows and casino games to enjoy every day of the year. At the same time, there are also countless parks, world-class golf courses, and higher educational opportunities at the highly regarded University of Nevada, Las Vegas. It is clearly a great place to live, work, and play, and real estate is always going to be in high demand. A kitchen renovation can provide a fresh new look that uplifts your spirits, and functionality can be improved as well. Such a project can be approached in a couple of different ways. The same footprint can be utilized, but in other cases, more space can be added through the removal of a wall. 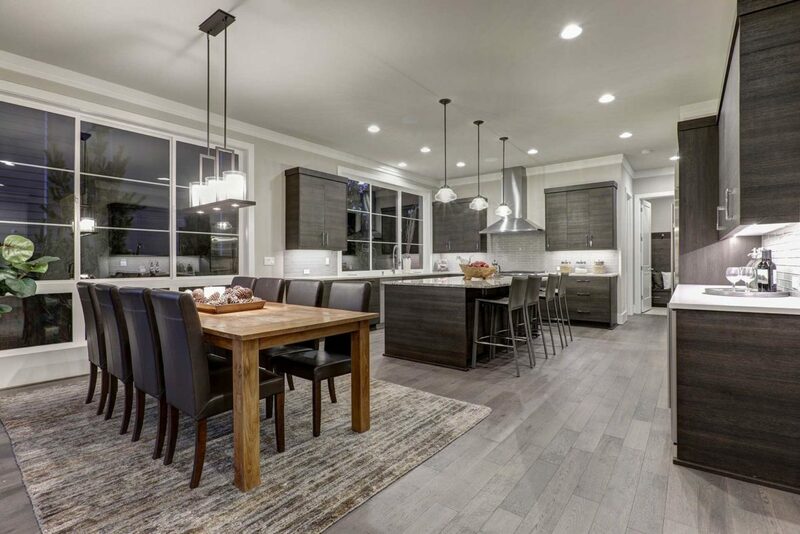 You can make decisions with regard to the ideal kitchen cabinetry and the type of hardware, door styles, flooring and countertop materials, lighting, storage solutions, and other fine details. Our Las Vegas kitchen renovation process is very well defined, orderly, and efficient. The first step will be a complementary design consultation, and we will then present potential floorplan layouts. Once a design has been selected, we start to drill down into the specifics, and we will ultimately finalize the parameters. The installation will then be scheduled, and the kitchen renovation work will commence. A final walk-through will be conducted when the job is finished, so you can request any fine-tuning that may be necessary. When everything is completely wrapped up, you can enjoy your brand-new kitchen for many years to come. Contact Las Vegas Kitchen & Bathroom Remodeling! As they say, a picture is worth 1000 words. To check out some examples of projects that we have completed, take a moment to visit our gallery page. If you like what you see, you can discuss your needs with one of our Las Vegas kitchen remodeling consultants right now if you give us a call at 702-826-2999.